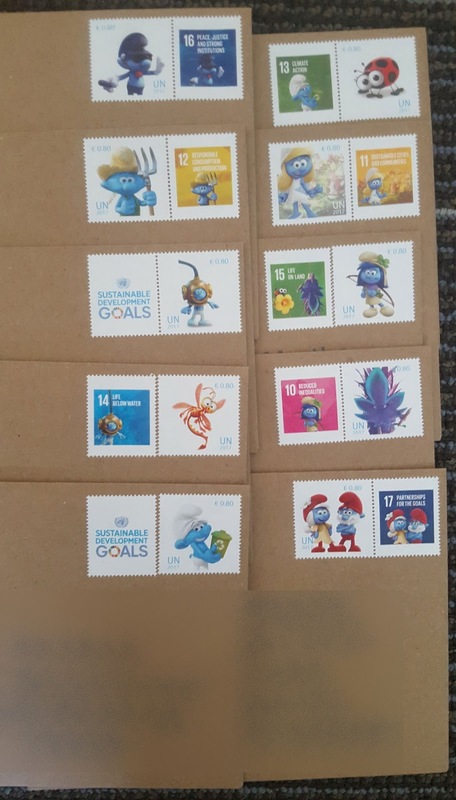 Yesterday I posted the United Nations' set of 17 sustainable goals stamps. 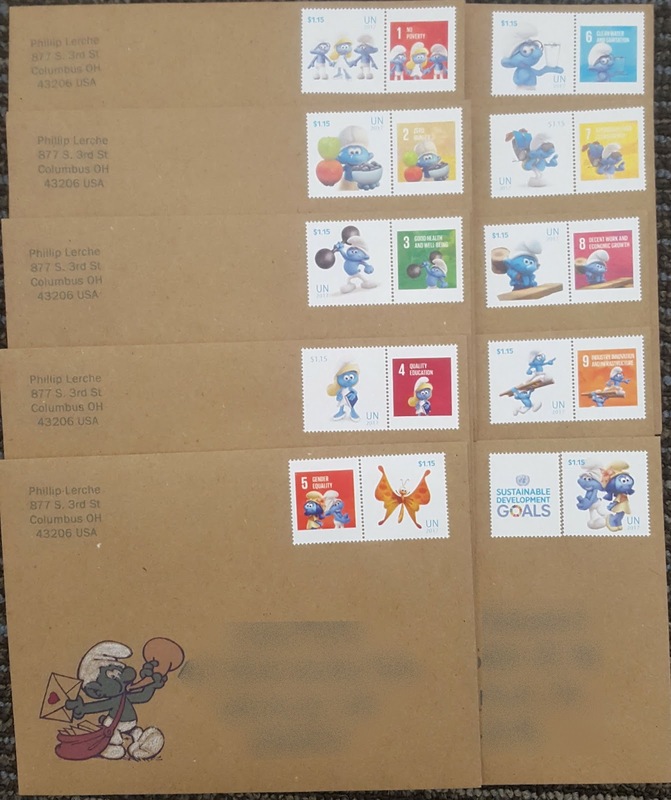 Two additional sets of stamps were issued on this same theme using Smurfs, and promoting International Happiness Day. One set was issued at the New York UN, and one at the Vienna UN. 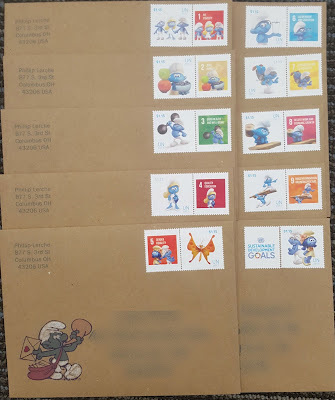 All sent on kraft envelopes accompanied by a Smurf letter carrier. Thank you, FinnBadger, I smurfed it very, very much! Glad it could make you smile.